A monthly Welsh language religious periodical serving the Baptist denomination. The periodical's main contents were religious articles, denominational news, domestic and foreign news, poetry and music. The periodical's editors were the ministers William Jones and David Jones (1808-1854). 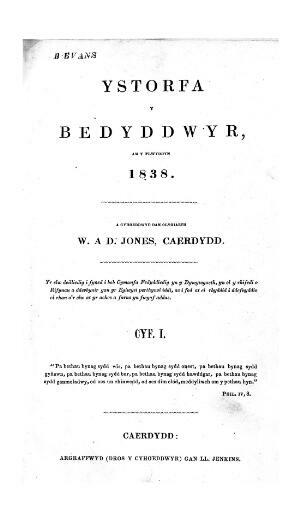 Associated titles: Ystorfa y Bedyddwyr (1839). Cyf. I Rhif. 6 Awst 1838.